Oasis situated in the middle of an olive and palm grove. It is located within a five minute walk from the center of town. of Siwan architecture and building. all reservations are not confirmed and the rooms are not guarantee without the one night down-payment upon reservation and the guests are kindly requested to complete the payment two weeks before arrival. *Payment conditions:- A deposit of one night is required to hold your reservation and is non-refundable upon cancellation. Your room is not confirmed unless deposit is received. 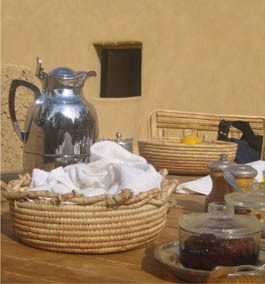 Guests are required to settle their bill two weeks prior to arriving in Siwa. *Cancellations:- All cancellations must be made two weeks prior to arrival. For any cancellation within the two weeks, full amount is non-refundable. - The deposit is non-refundable upon cancellation. - Full amount is non-refundable in the case of a No Show.